I am Senior Lecturer in Therapeutic Arts at the University of Derby where I teach on the MA in Dramatherapy and Admissions Tutor for the BA (Hons) in Creative Expressive Therapies. I am also a Consultant Dramatherapist with over 20 years post qualifying experience working in the public, voluntary and private practice and as director of Creative Solutions Therapy Ltd. I am a Health Profession Council Registered Dramatherapist with 20 years post qualifying experience, having worked in a range of clinical and non-clinical settings with a very broad range of clients throughout my career. This includes adults and children with severe learning disabilities and challenging behaviour, adults and children with severe mental health problems and older people with memory loss and dementia. I have specialized over the last few years in working with children in such areas as autism, ADHD and a range of learning disabilities and mental health problems, especially with children in the looked after system who are unable or unwilling to communicate verbally. I also work as a freelance dramatherapist and run my own private practice. 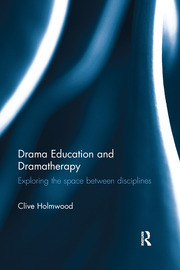 Drama, Drama Education, Dramatherapy, Interdisciplinary practice.